DIRECTV will host the crown jewel of Super Bowl parties on Saturday, Jan. 31, when worldwide icon Rihanna takes the stage at DIRECTV Super Saturday Night Co-Hosted by Mark Cuban’s AXS TV and Pro Football Hall of Famer Michael Strahan. The invitation-only event will be held inside DIRECTV Super Fan Stadium at the Pendergast Family Farm in Glendale, Arizona’s Sports and Entertainment District, across from University of Phoenix Stadium in Glendale, the site of Super Bowl XLIX. DIRECTV Super Saturday Night has become the most sought-after invitation of the weekend, as each year DIRECTV presents the music world’s hottest talent including Katy Perry (2012), Justin Timberlake (2013) and Jay-Z and Beyoncé (2014). 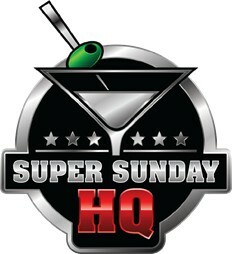 DIRECTV Super Saturday Night is a private, invitation-only event. Tickets are not available for purchase. Aftermarket tickets have popped up in the wild, but of course, DIRECTV always makes clear that this is an invite-only affair, and no aftermarket tickets will be honored, so buy tickets at your own risk, although Vivid Seats has been an outstanding ticket sponsor and they have come through on many other tickets to other events.